Privacy, location, and practically new this home is a must see! Wonderful two story structure with all three bedrooms on the same level. Master suite has a large walk-in closet. Lots of windows for natural light and views. Open and spacious main level living with gas fireplace, granite throughout, new appliances, custom cabinets, and an adorable covered front porch in a cul-de-sac lot! 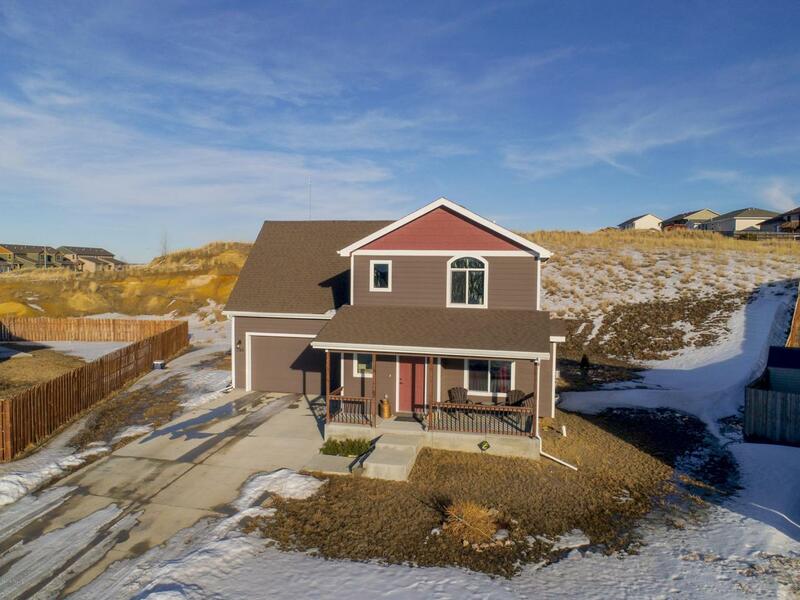 Call or text Jessica LaCour at 307-660-5470 or Katie Anderson at 775-397-2304 and set up your showing on this great home or any others! Go to www.411properties.com to see the full listing and browse all homes actively listed in Gillette and surrounding areas.